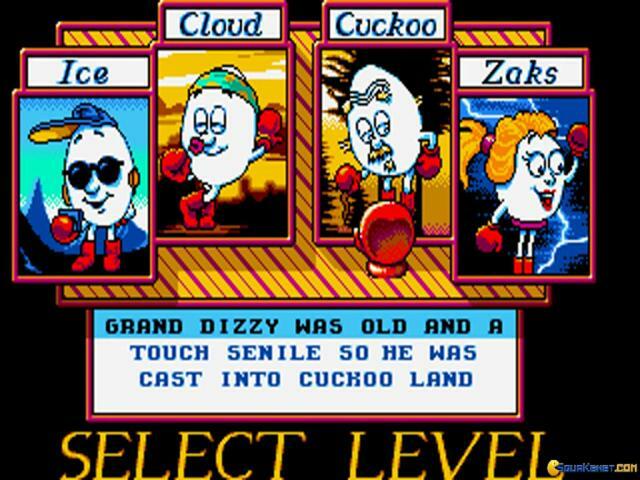 The name Dizzy is something of a legend in the games industry, and the adorable egg starred in a series of 8-bit adventures that were famous for their puzzles and humour. 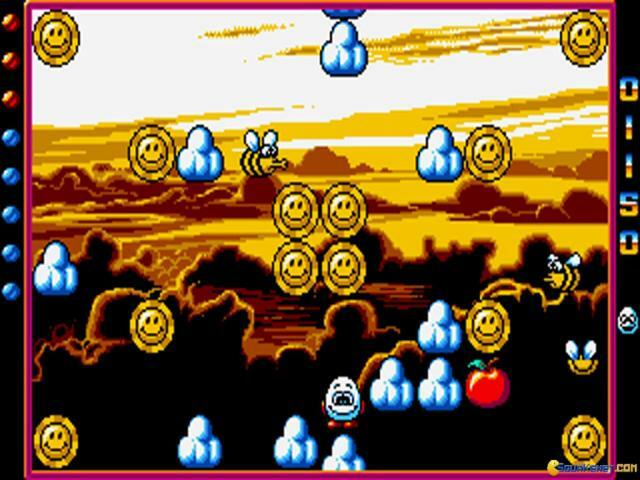 Kwiksnax is the fourth in the series, and the direct sequel to Fast Food, but the game offers a very different style of gameplay to the original game and sequels like Treasure Island Dizzy and Fantasy World Dizzy. 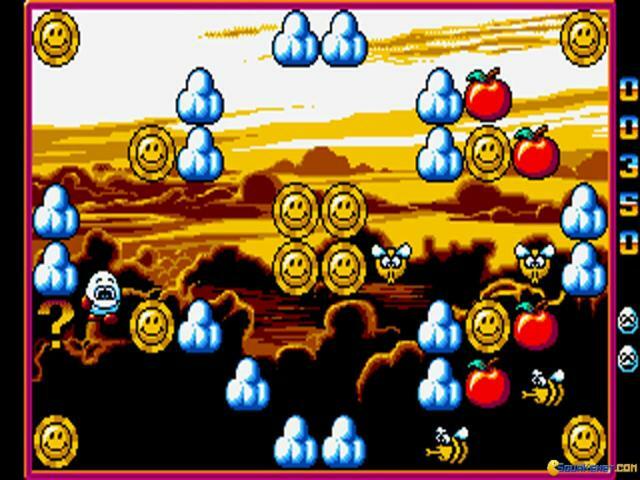 Instead of being a side-scrolling platform/adventure game, Kwiksnax is a more of an action/puzzle game, like Pengo, Digdug or even Pacman, where the basic idea is to guide Dizzy around a series of single-screen mazes, picking up fruit in traditional arcade game-style. 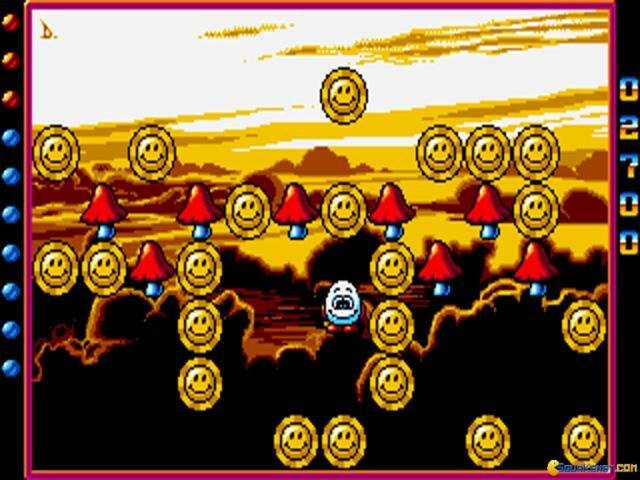 However, Dizzy can push the various blocks which make up the maze into the various enemies which are out to get him, thus destroying them in the process. 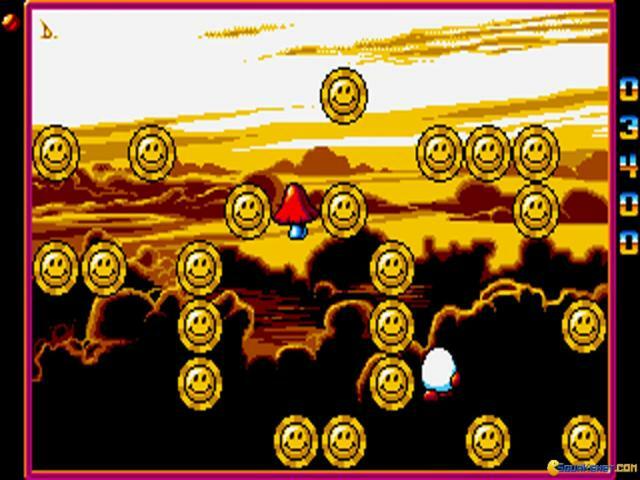 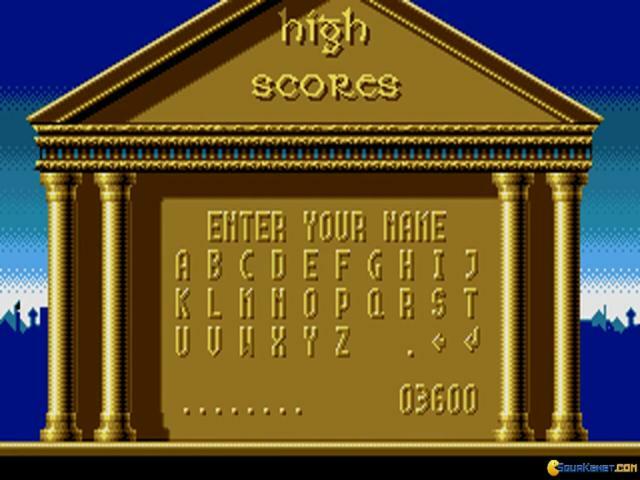 Upon successful completion of each level, bonus rounds pop up to allow players to rack up their score even further, while the main levels are livened up by random drops which can reverse controls, act as a smart bomb or award even more points. 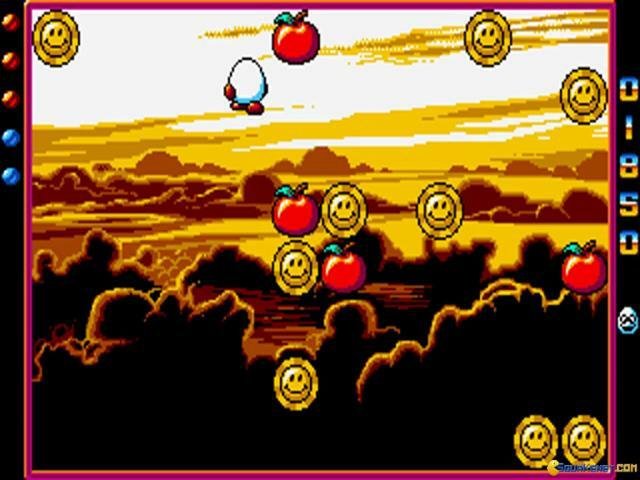 While the game might not have immense amounts of visual flash or depth, it is an undeniably enjoyable slice of arcade fun. 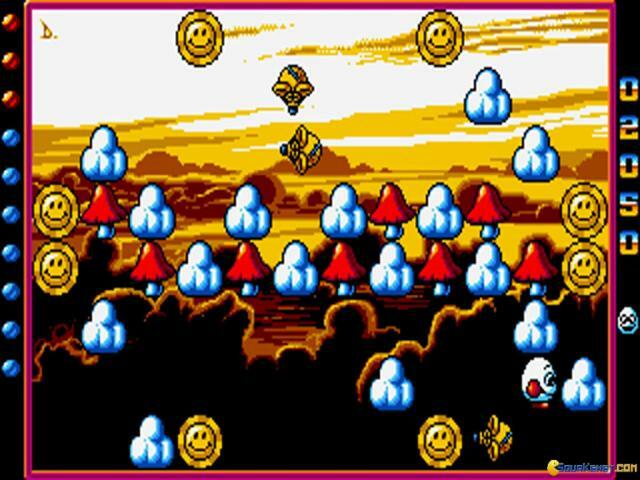 The pace is constantly high, requiring quick reactions and thinking to complete levels and while the difficulty level isn't that great, it's not really the point. 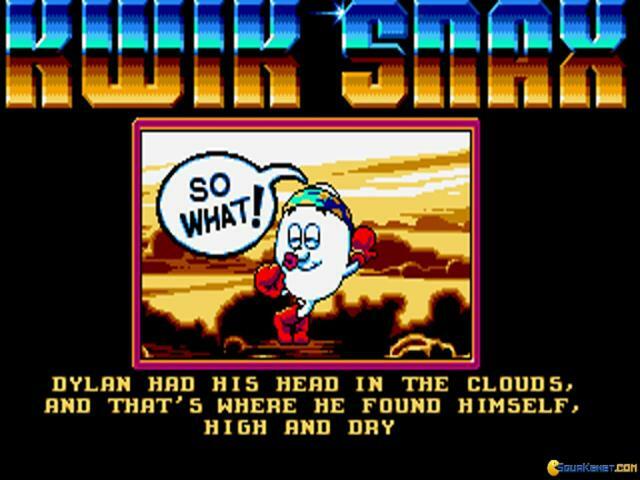 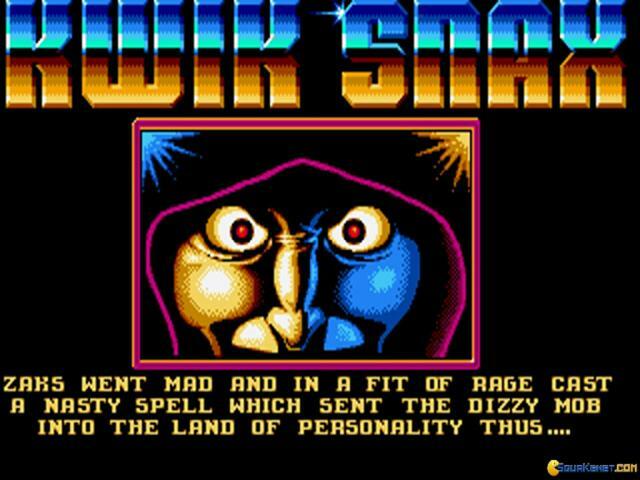 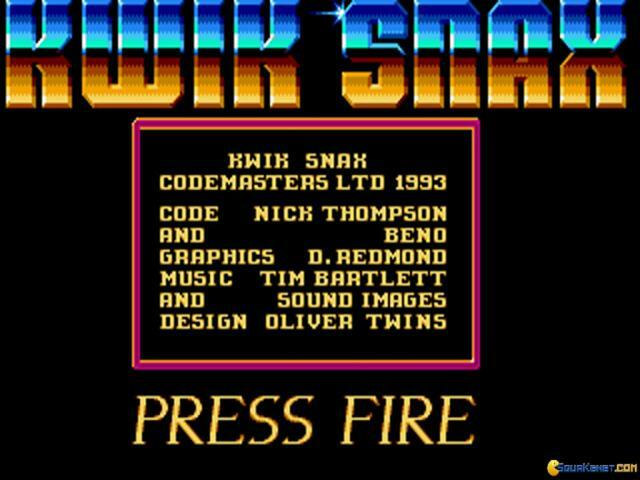 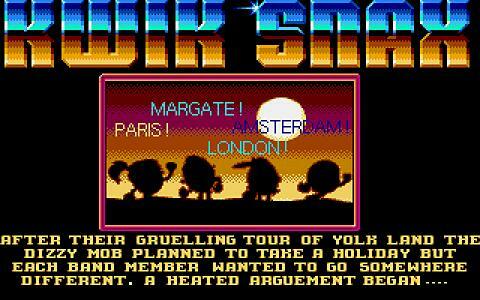 Instead, the game is just an excuse for some entertainingly old-school action and in this respect, Kwiksnax is entirely successful. 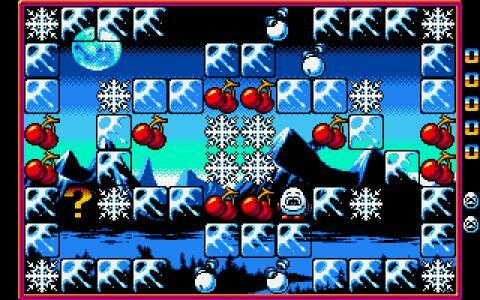 If you enjoy games like Bomberman or Bubble Bobble, this will be right up your alley.